Researchers at Brigham Young University (BYU) have led a team of investigators in discovering a rare genetic variant that provides a protective effect for people who carry known genetic risk factors for Alzheimer’s disease (AD) yet never acquire the memory-robbing ailment. The team pursued an alternative to the typical research approach, s geared toward uncovering the underlying cause of disease. While that approach has generally been effective in producing a list of genes that might impact risk for that disease, it often leaves researchers without sufficient data on what to do next. 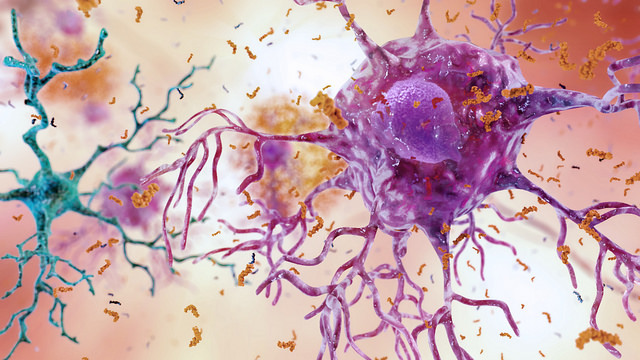 In a study published recently in Genome Medicine, in an article entitled “Linkage, Whole Genome Sequence, and Biological Data Implicate Variants in RAB10 in Alzheimer’s Disease Resilience,” the BYU researchers and their colleagues found a biological mechanism by which the genetic variant impacts AD. “Our results suggest that RAB10 could be a promising therapeutic target for AD prevention. In addition, our gene discovery approach can be expanded and adapted to other phenotypes, thus serving as a model for future efforts to identify rare variants for AD and other complex human diseases,” the research team concluded. Using data from the Utah Population Database—a 20-million-record database of the Mormon Church's genealogical records combined with historical medical records from Utah—the BYU team first identified families that had a large number of resilient individuals, i.e., those who carried the main genetic risk factor for AD (E4 allele) but remained healthy into advanced age. Using this linkage analysis methodology, the investigators then looked for the DNA that those resilient individuals shared with each other that they didn't share with loved ones who died of AD. Remarkably, the scientists discovered the resilient subjects shared a variant in the RAB10 gene, while those who got the disease did not share the genetic variant. Additionally, once the researchers identified the potentially protective gene variant, they modified its expression level in cell models to see the impact on AD-related proteins. The scientists learned that when this gene is reduced in the body, it has the potential to reduce the risk for AD.